Many try to duplicate the Hook City Series of products, but there is only 1 original! MVP Loops is proud to release Hook City: Pop Bangaz. This incredible collection features 10 construction loop sets complete with full ROYALTY FREE vocal hooks...Multi-format ACID/WAV, Apple and REX Loops with all keys and tempos are provided. Hook City Pop Bangaz Editon contains 729 total Apple, Acid and Rex loops. Included are full stereo wav files and instrumental wav files for easy auditioning. All keys and tempos are provided. Use in Fruity Loops/FL Studio, Reason, Garageband and any sampler that accepts wav files. All MVP Loops Elite Series products are completely ROYALTY FREE. This set is just pure fire, download 'Hook City: Pop Bangaz Edition' today! MVP Loops......Sounds Like A Hit! 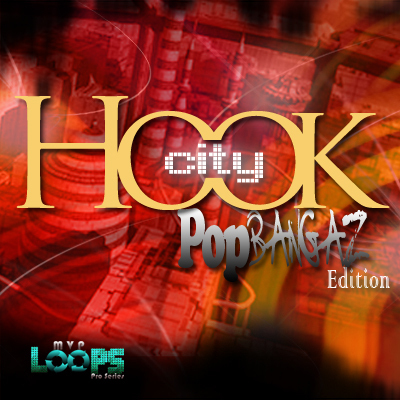 Hook City: Pop Bangaz Edition - Acid/Apple/REX acid loops;fruity loops;vocal hooks 118395214 43.99 diggaudio Fresh Download Available!